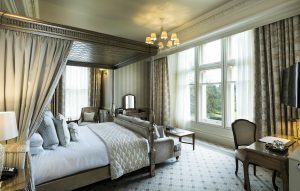 Down Hall Hotel & Spa is a luxury country house hotel and spa on the Herts/Essex border. Muddy says: A luxurious country house hotel near Bishop’s Stortford set in 110 acres of gardens, with ESPA spa, restaurant, and excellent afternoon teas. 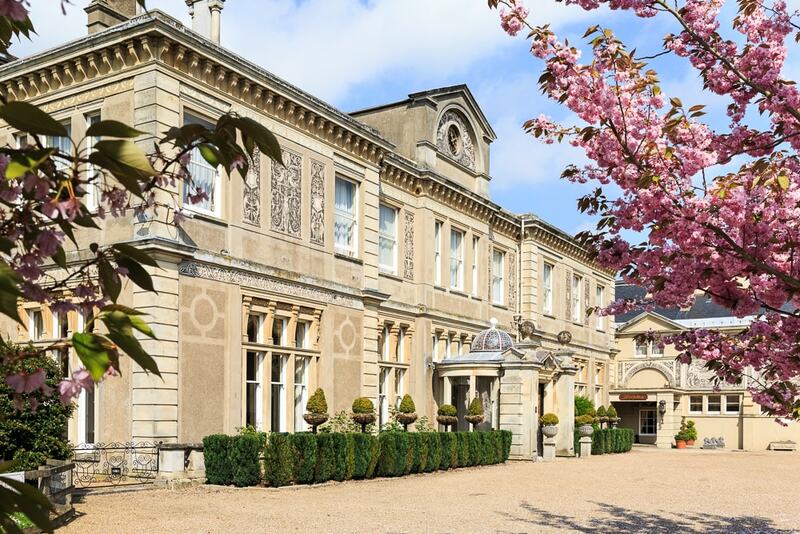 Down Hall Hotel & Spa near Bishop’s Stortford is one of the most established country house hotels in the country, bang on the border with Essex and, in true country house hotel style, close to London and an airport – Stansted is only 8 miles away. The grounds are expansive: 110 acres of woodland, parkland and landscaped gardens. There’s no shortage of space for a vegetable garden, and the kitchen is well supplied with fresh produce for The Grill Room restaurant, which serves a modern English menu. 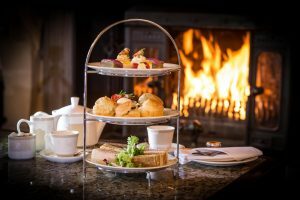 Afternoon tea is a proper treat here and it’s also a wonderful wedding venue. It’s ESPA products all the way in the Eden Spa, and there’s a gym, sauna and tennis courts. The building dates back to 1322 and the style is Italianate, with ornate ceilings and lots of mirror and natural light. As soon as the weather starts to feel anywhere near Italian, it’s time to book lunch or dinner on the terrace.